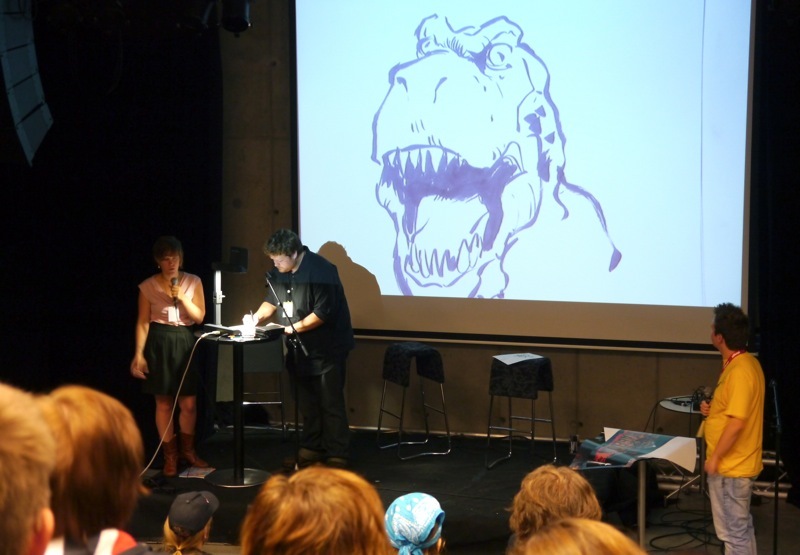 From 9. to 11. of September there was a three-day long comics festival called “Raptus – Bergen International Comics Festival” in Bergen, Norway. I spent a large portion of the weekend at the convention, during which I went to a couple of great talks about comics, manga and webcomics. I also met one of my favorite cartoonists, Lucy Knisley, and acquired a signed copy of each of the three comic books she was selling. She was very friendly, and she also made a drawing (upon request) of her noisy cat in my sketchbook. Among the other guests were Mike Collins, Martin Kellerman, Nana Li and Ethan Nicolle, the artist behind the popular webcomic Axe Cop (the story for Axe Cop is created by Ethan’s 7-year old brother). I think the “French Milk vs. Axe Cop” panel was one of the most enjoyable panels at the convention, with Ethan delivering quick comebacks to questions and even making fun of the poor guy interviewing him, and Lucy Knisley drawing (among other things) a figure-skating, drunken cat. 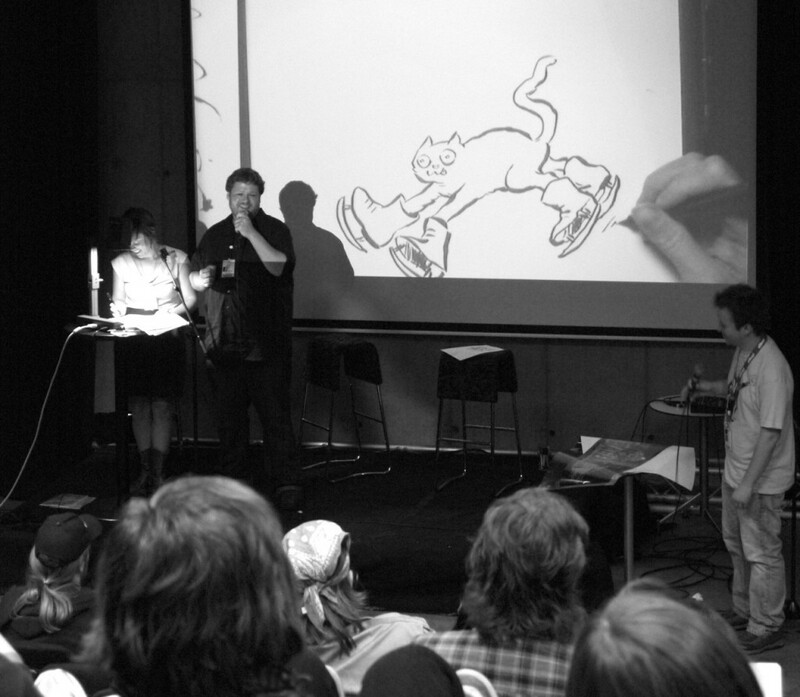 The two artists took turns and did challenges from the audience, and it was all very entertaining to watch. I really liked this year’s Raptus festival, as there were a more panels focusing on webcomics and manga artists than usual. There even was a “How to draw manga”-workshop led by Nana Li, and I think one of the Raptus-people said that it was the first time they’ve had a manga workshop. It was scheduled on Sunday at 9 a.m., and an impressive number of 25-30 people showed up (including myself). I hope that next year, Raptus will be featuring even more webcomic artists. Speaking for myself, I know I would go to every panel relating to webcomics and manga. 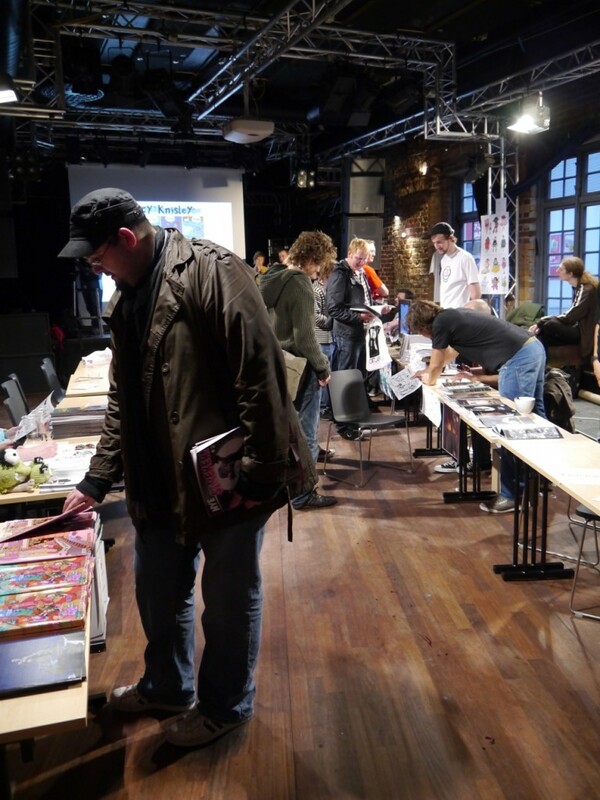 What would you like to see at a comic festival (especially if you live in Norway)? What do you do at comic conventions/comics festivals? Leave your comments below, I would love to read your responses.